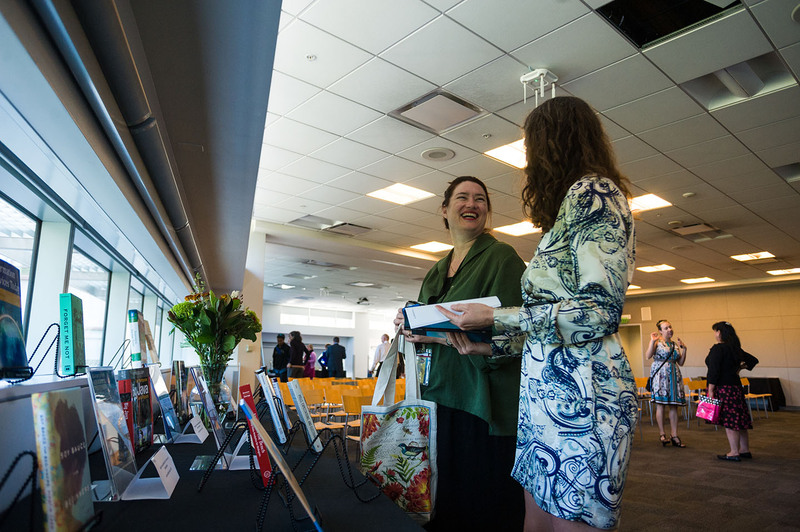 Attendees of the Annual Author Awards look at the 2015 publications. Photo by Brandon Chew. 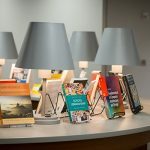 The Annual Author Awards will celebrate 27 San Jose State University faculty who have published a book or other major work in this year on Nov. 7, from 3 to 5 p.m. in the Dr. Martin Luther King Jr. Library Room 225/229. The Annual Author Awards is sponsored by the Office of the Provost, University Library and the Spartan Bookstore. The event is free and open to the public. For more information or questions, call Library Dean Tracy Elliott at 408-808-2419or Outreach Librarian Elisabeth Thomas at 408-808-2193. 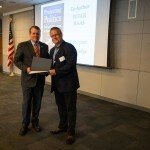 Provost Andy Feinstein, left, presents a certificate to Professor Peter Haas at the Annual Author Awards in October. Haas is one of two dozen faculty members honored at the event. Photo by Brandon Chew. 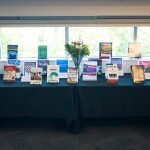 Books written or edited by SJSU faculty members were displayed at the Annual Author Awards in October. Photo by Brandon Chew. 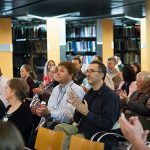 Two dozen San Jose State faculty members were honored Oct. 26 at the 2015 Annual Author Awards. 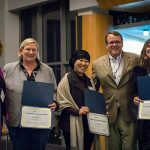 Faculty members from each college were recognized for authoring, editing or co-editing books in a multitude of genres on a wide range of topics. President Susan Martin welcomed the faculty to the celebration, in which the college deans recognized the authors and editors in each college. 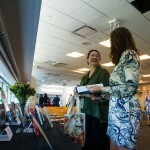 The publications represented a wide-range of topics and showcased the many talents of SJSU faculty members. Anita Coleman, from the School of Information, penned a children’s book titled “Path of Grace.” The story is set on an island off the coast of Finland where a grandmother helps a little girl find her own path to grace. Terry Christensen, of Political Science, and Peter Haas, of the School of Global Innovation and Leadership, co-authored “Projecting Politics: Political Messages in American Movies.” The 2015 novel examines the relationship between American political and films. Provost Andy Feinstein emphasized the breadth of knowledge represented in the 2015-16 publications in his closing remarks. The event was sponsored by the University Library, with refreshments provided by the Spartan Bookstore.